(Newser) – A Texas man convicted of killing a police informant was executed this evening after the Supreme Court rejected arguments that he was too mentally impaired to qualify for the death penalty. 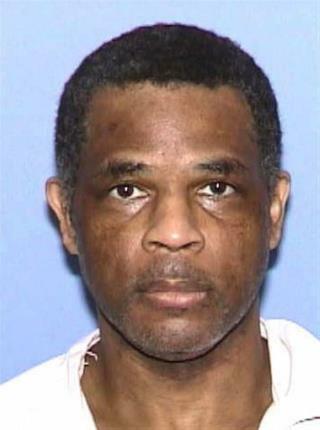 Marvin Wilson, 54, was pronounced dead 14 minutes after his lethal injection began at the state prison in Huntsville. Wilson's attorneys had argued that he should have been ineligible for capital punishment because of his low IQ. In their appeal to the high court, his attorneys pointed to a psychological test conducted in 2004 that pegged Wilson's IQ at 61, below the generally accepted minimum competency standard of 70.
" If Low IQ gets you out of the Death penalty, Then most blacks would be excluded!" That is the most truthful statement on this. Anyone else find it mildly amusing that being too stupid is a defense against being given the death penalty. I have had fun poking at you two liberal minions, But some of US have lives other than welfare check waiting day!! Good day liberals idiots, BTW , from now own do not contact me with you're drivel, Just sign the back of My governments check to you and SAY THANK YOU TO ALL OF WHO SIGN THE FRONT!!! !